You never know when you will have a dental emergency, but knowing what to do in an emergency situation can help your dentist who practices family dentistry in St. Louis save your beautiful smile. Watch this video to inform yourself about how to deal with a dental emergency appropriately. Sports injuries, falls, and other accidents can all lead to a dental emergency. If you find yourself in one of these situations, first apply a cold compress to your cheek where the injury occurred. After this step is completed, rinse your mouth with warm water. If you bit your tongue, lip, or cheek, seek immediate medical attention if the bleeding does not stop. Also, if you believe you broke your jaw contact a professional immediately. If your tooth falls out due to an injury be sure to keep it moist in a glass of water or milk, or in its original tooth socket until you can get to the dentist office. At West County Dental, Dr. Spalitto typically fits dental emergencies into his schedule and treats them all in the same day! Root canals are performed to save teeth when the dental pulp has become severely decayed or when a nerve has become infected. 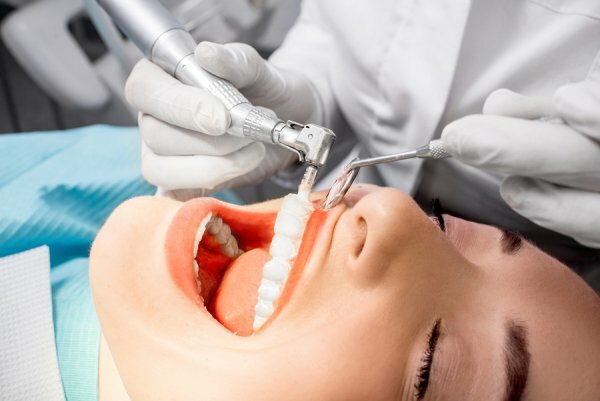 You may need a root canal if you have a large cavity that has gone untreated, you have a cracked tooth, or you have had repeated deep dental procedures on the same tooth. When patients find out that they need a root canal, they are often apprehensive because of what they have heard about root canal pain. In reality, root canals are as easy for patients as fillings, and a local anesthetic or sedation dentistry will keep you comfortable throughout the procedure. Learn more about root canals in this infographic from West County Dental . Choose our practice when you need a dentist near St. Louis for preventative care and your general dentistry needs. Root canals are extremely common, so help others understand the facts behind the procedure by sharing this helpful information. Having a healthy smile is important for your overall health. While taking care of your oral health is always important no matter your age, it becomes vital as you get older. Working with Dr. Spalitto, who practices family dentistry in St. Louis , can help you maintain great oral health as you age. Here are some of the top dental health concerns for senior citizens. People over the age of 60 are at higher risk for periodontal disease than people of a younger age. Periodontal disease can cause red, inflamed, and bleeding gums, and also tooth loss in severe cases. About a quarter of adults ages 65-74 have had a diagnosis of severe periodontal disease. Men, more so than women, are at risk for a severe diagnosis. Regular visits to Dr. Spalitto’s family dentistry clinic in St. Louis can help you keep your gums healthy as you age. Just as with periodontal disease, your risk of tooth decay increases with age. In particular, those who did not have access to fluoride in their water growing up are diagnosed more often with issues of decay. One quarter of adults in America over the age of 60 no longer have their adult teeth. 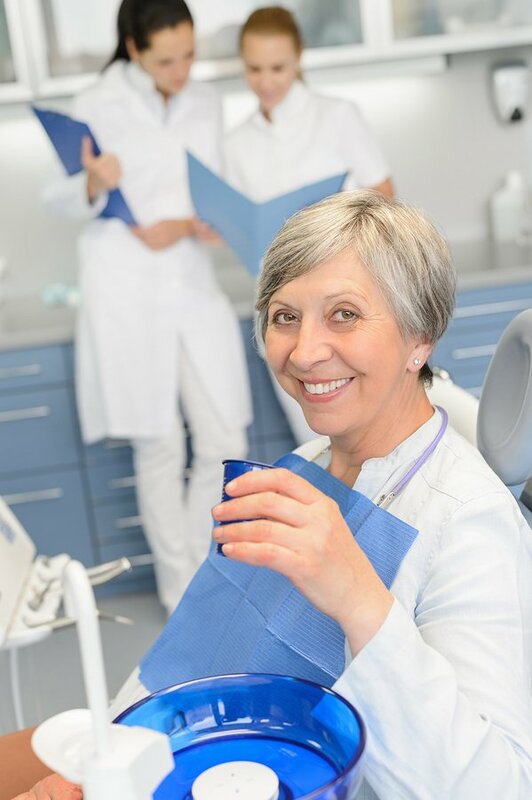 Older people will continue to have decay on the crowns of their teeth and on the tooth roots, unless they have been removed during a root canal procedure. Adults over the age of 60 see tooth decay more so than children. Having missing teeth due to severe decay can cause pain when chewing food and it can become difficult to speak properly, not to mention can make you feel insecure about your smile. Oral and pharyngeal cancers are a very real risk for people over the age of 60. Over 30,000 people a year are diagnosed with these types of cancer and many of them are above 60 years old. Being that dental insurance is not covered under most health insurance policies, many adults over the age of 60 are not covered. Medicare, which gives people over the age of 65 health insurance, does not cover dental work either. If you are over 60 and need dental work, Dr. Spalitto and his team at West County Dental would love to talk with you to see how he can help you gain a healthy, beautiful smile with affordable financing options.